Hi guys/girls. 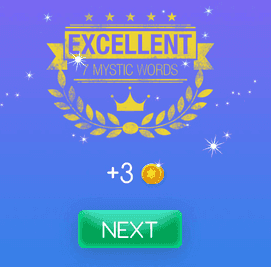 Welcome to Mystic Words Magenta level 24 answers. Remember to look only the answers to the clues you are blocked. There is no fun if you see all the answers before trying to solve them first. Disreputable, disgusting person 10 letters answer, click here! Involuntary muscle contractions 6 letters answer, click here! Miss the time you plan to wake up 9 letters answer, click here! The shape of the earth 6 letters answer, click here! Lacquer for locks 9 letters answer, click here! Daffodil is one of them 9 letters answer, click here! Interesting or exciting 8 letters answer, click here!